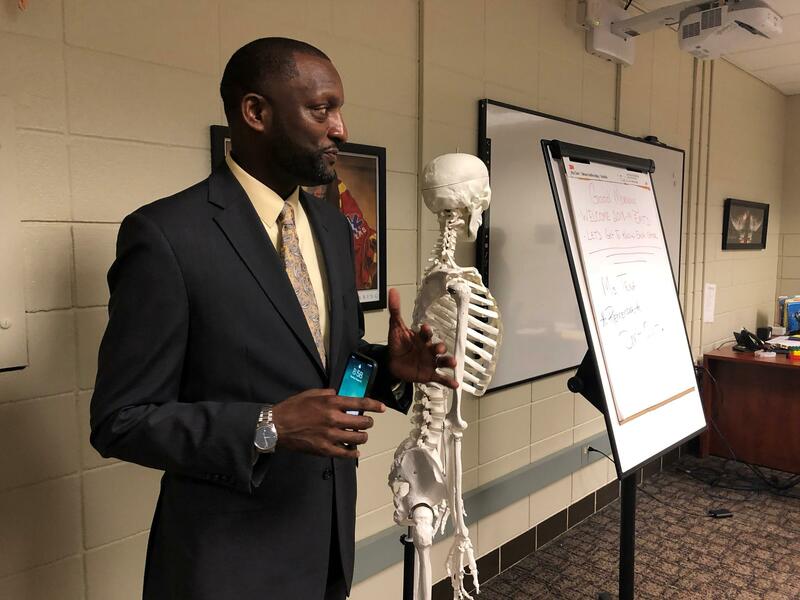 Kansas City Public School Superintendent Mark Bedell visited Manual Career and Technical Center on the first day of school in August. Usually, districts have test results to drive decision-making before the start of a new school year. The Missouri Department of Elementary and Secondary Education said Tuesday that districts will get their results in December. Annual performance reports, which are used to make accreditation decisions, won’t be publicly available until January or February. That leaves little time to adjust curriculum before testing begins again in the spring, Bedell said. But the reality is districts do use the scores to drive decision-making, and it’s not just Bedell who’s getting frustrated with the state. However, Hand noted, delay isn’t affecting Liberty like it would KCPS and other districts awaiting accreditation decisions. The provisionally accredited KCPS needs to show at least two years of progress to regain its standing with the state. Missouri school districts have seen their preliminary scores on the social studies test, and Bedell is pleased with those results. But for scores in math and English language arts, everyone will have to wait.